There are only a few different poses people assume when they wait in waiting rooms. However, I never tire of figuring out the relationship between the angle of the head axis and the shoulder plane; the length of the upper arm compared with the lower arm; the relative position of the legs, et cetera. The act of sketching makes one observe people more keenly. 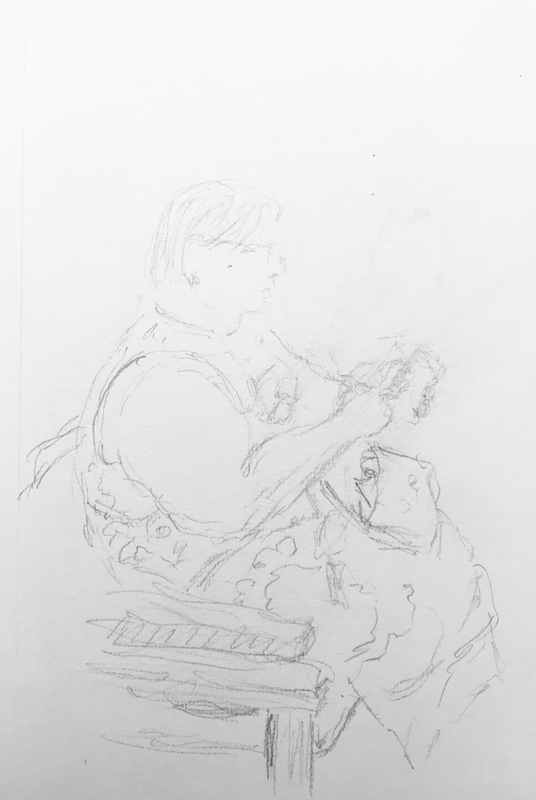 This entry was posted in Personal Stories and tagged art, artistic process, creativity, drawing, pencil sketch, portrait, powers of observation, sketch, sketching, visual art. Bookmark the permalink.